This is not to be confused with the Iditarod/Sharron Kraus CD of the same title that was reviewed in AI previously. 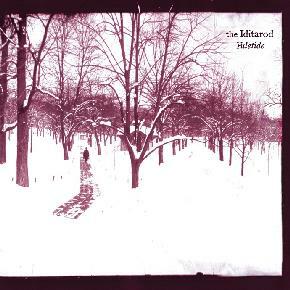 That was the third of a series of releases of seasonal/winter themed music that the band put out. What we have here is a reissue of the first two volumes, fleshed out with some previously unreleased material. Neither of them were widely distributed, so if you were not actually a friend of the band or something my guess is that all of this will be new to you (as it ‘tis to me), and aren’t we lucky? Alright, so if you are a fan you probably already have this or will soon, if you are not this may in fact be a great place to start, because while it is kinda huge - there are 24 songs spread over 2.5 hours - it is easily the equal of their other releases, if not even better - making this one of the best contemporary psychedelic folk releases that I have heard yet. The core of the group is the lovely voice of Carin Wagner and instrumental and compositional work of Jeffrey Alexander, with many friends fleshing things out with a variety of stringed instruments, percussion and more. Modern mixes with old, as loops and acid laced electric guitars are thrown up against adapted traditional folksongs. Their own compositions often have a traditional or "classic" sound as well, a testament to their powerful writing and compositional skills. While the proceedings are usually kept to a quiet yet intense level, things do get downright HEAVY at times, such as the wailing electric guitar laced "Snow Falls", or the blistering live take on "The Trees Are All Bare", recorded at the Boston Terrastock festival. They called it a day back in April of 2003, so this is to be the final Iditarod release, but you would be hard pressed to ask for a more fitting conclusion. Jeffrey and Miriam Goldberg, who played cello both live and on some of the recordings (including some on this set), have started a new project called Black Forest/Black Sea, which already has one CD out and should have a new full length out in Spring 2004. Sweet. Contact via snail mail c/o Camera Obscura; PO Box 5069; Burnley VIC 3121; Australia.